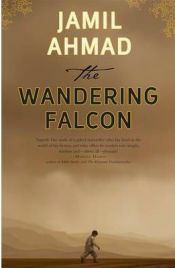 The story of how Jamil Ahmad’s book The Wandering Falcon came to be written is almost as fascinating as the book itself. It’s his first book; that’s nothing unusual – every author has to have a first book. He’s 78 years old – now that’s quite a surprise. But the amazing thing is that he started writing the stories in the book three and a half decades before they were published. Is The Wandering Falcon a novel or a collection of short stories? It’s not entirely true to say that either is strictly the case. A single character – Tor Baz or the Wandering Falcon – knits together the 9 stories, growing older as the book progresses so that we are able to follow the passage of time and its impact on the tribes and he appears in all but one of the chapters. Occasionally his presence seems a bit forced – a modification or an afterthought, pushed onto a page where he doesn’t entirely belong – but Tor Baz is by his very nature a character who doesn’t belong anywhere. Tor Baz is born in the first chapter which tells of a couple who run away together, the woman leaving her husband to run off with the man, her husband’s servant. In the next story Tor Baz is living with a group of camel traders who rescue his when he’s found alone and huddled against the corpse of his family’s camel. He passes into the hands of a wealthy land owner and then on to a renegade mullah before reaching an age when he’s no longer anybody’s property or adopted son and begins to take on his own identity – as a guide, as a trader or as a man looking for a wife. Tor Baz is both everyman and no man – a symbolic representation of the tribal identity, unbound by loyalty to any group but able to flit between them with ease. The stories are short and the entire book is less than 200 pages long so it’s not a long read. Each story could stand alone without the need of the other stories but their chronological progression helps us to see how times change and how some things never alter, regardless of their point in history. There’s a lot of fighting, plenty of kidnapping, women are bought and sold – in one case a father sells his favourite daughter for a pound of opium and in another a wife competes for her husband’s attention against his dancing bear. The harshness and danger of the nomadic life is clear to see – it’s a life of uncertainty and conflict with no guarantees that the roads ahead with be passable, either literally or metaphorically. Despite the presence of Tor Bag in all but one of the stories, we really learn almost nothing about him and this is perhaps because it’s not really his tale. Ahmad merely uses him as a literary device – a clever one, but not one for whom we should feel much attachment. Remarkably, given the location, the stories are pretty much free of the major conflicts that mark the last 50-60 years of the region – there’s no mention of the wars that took place in any of the three countries because the nomadic existence is not one that interacts with international politics. A lot of horrible things happen to the characters in the book, but there’s non of the overly emotional heart-string tugging that’s typical of books about Afghanistan, Pakistan, or Iran. There’s no Islamic fundamentalism, no terrorism, no Taliban, no Russian invasion, no Iranian Revolution in this book – despite the fact that all these are present somewhere in the background, they have no day to day impact on the timeless people who wander through the pages of The Wandering Falcon. The stories are 20th century in timing but many of the events could have occurred centuries before. For a first book, this is remarkable. I hope that the writer has time to add to his book shelf with many more volumes filled with these finely constructed short stories. No Comments on "The Wandering Falcon"
« When Will There be Good News?